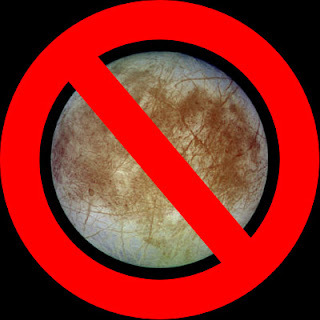 The Lunar and Planetary Sciences Conference is coming up in a couple weeks. I unfortunately will not be attending but the abstracts for the conference, which are almost mini-papers in length, have been online for a few weeks now. Nearly all the Io-related abstracts are for posters to be presented on the evening of Tuesday, March 11. In this post, and in blogs to be posted over the next week or so, I will cover one of the abstracts for this conference. 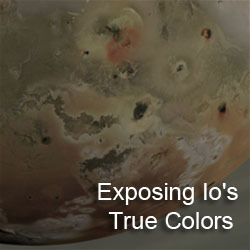 The first abstract I'm going to discuss is "Geologic Mapping of the Zal Region of Io" by Melissa Bunte, David Williams, and Ron Greeley. 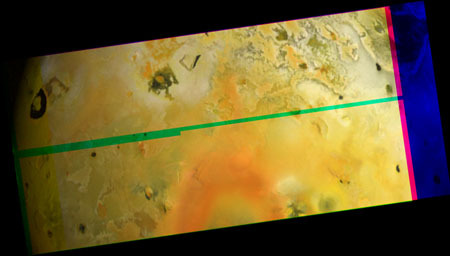 This abstract covers work done as a part of series of geologic mapping work performed by the Planetary Geology group at Arizona State University on the mosaics Galileo acquired of Io during its seven encounters. This time they cover the area around Zal Patera. 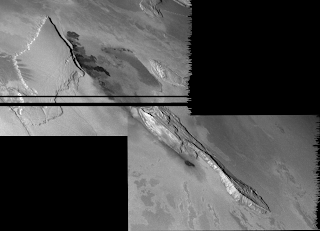 This volcano on Io's northern Leading hemisphere is bounded to the west and south by the two-part Zal Montes. Like most places the group has mapped, they found 5 basic terrain types: plains, mountains, patera floor materials, flow materials, and diffuse materials. Their mapping allowed the authors to determine the age relationships between the different flow units within Zal Patera based on the brightness of the flows. Basically, as a flow ages, it cools (obviously) and as it cools, more volatiles can condense on it. Color-wise, the progression at this latitude is (generally now) from black, to green (when you got your sulfur mixing with your iron), to yellow (thanks to S8), and then to red-brown when radiation starts to work on the sulfur and break it down (anyone know how long that roughly takes, by the way?). The group also mapped some very extensive, old flows that they attribute to Rustam Patera, the proposed name for an active volcano on the western margin of South Zal Montes. Following the work they have done previously in the Amirani and Camaxtli regions on Io, they will like publish this work sometime in the next year or so. Certainly will be a paper to look for. I would be interested in how they handle the connection between Rustam Patera and the lava channel that runs north from it up through to what they identify as a fissure along the western margin of Zal Patera. Another interesting feature in this region (or actually just off the western edge of their mapped segment) is a small, explosive eruption from the summer of 1997 that produced a small dark pyroclastic deposit that partly overlaps onto the western margin of the North Zal Montes plateau, which is identified as a flow (?) in the map included in the abstract, and a bright ring around that pyroclastic deposit. Strangely enough, no obvious effusive materials from that eruption. The ASU group also has another poster at the conference where they present the work they have done so far on producing a global geologic map. I will discuss that abstract in a later post. 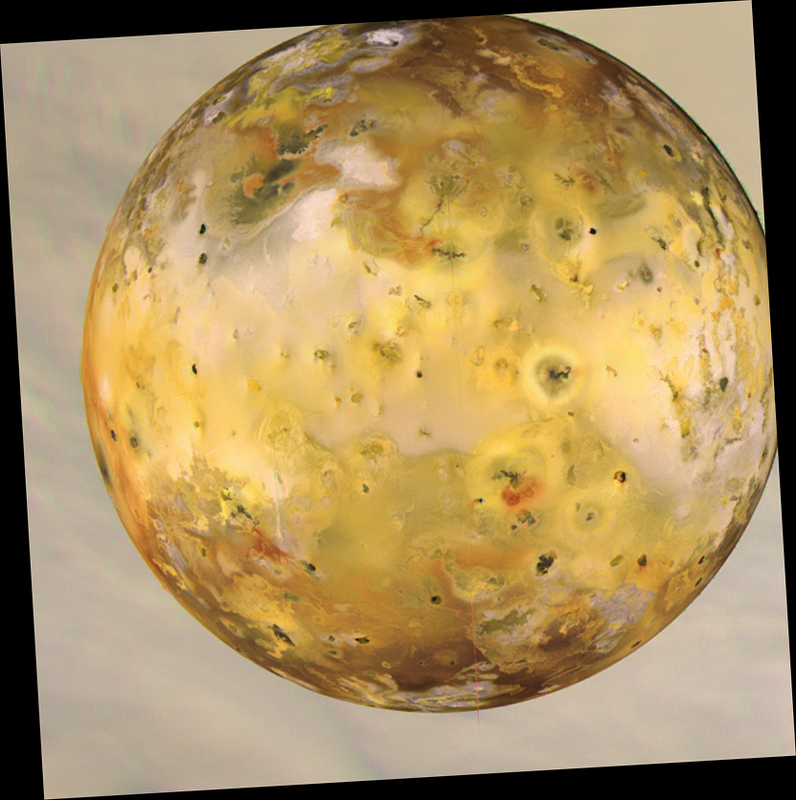 Tracy Gregg and Rosaly Lopes have a new paper in the March issue of Icarus titled, "Lava lakes on Io: New perspectives from modeling." The paper provides a possible model for the volcanism observed at Loki Patera (shown at left from images taken by Galileo's SSI and NIMS instruments). Previous models by Davies et al. and Rathbun et al. suggested that the episodic activity was the result of lava flows spreading out from a fissure and an overturning lava lake, respectively. The lava lake hypothesis has gained particular currency among the Iophile community over the last few years, particularly its ability to explain the distribution of thermal sources as seen by NIMS. Gregg and Lopes, in their paper, point out a few problems with both models. In the first, wherein lava flows spread out from a fissure, the lack of overflowing lava despite repeated eruption episodes over the last 20 years is a concern. 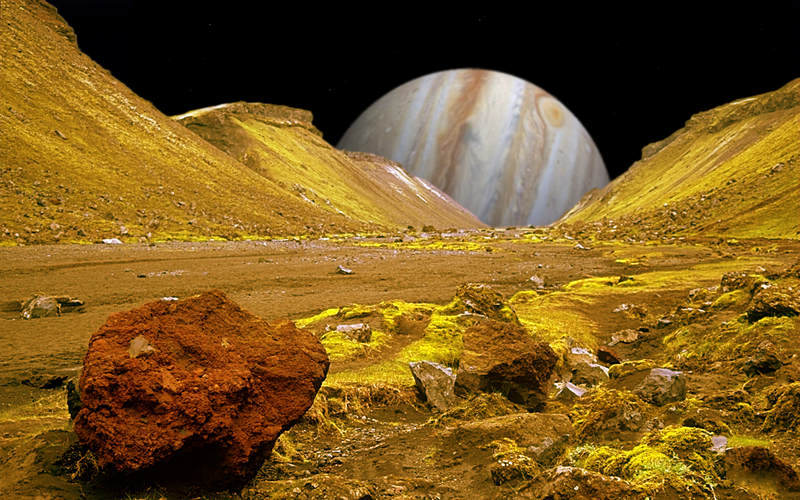 In the second, the difference in scale between terrestrial lava lakes (most are on the order of 100 meters across) and Loki (approximately 200 km across) is an issue. 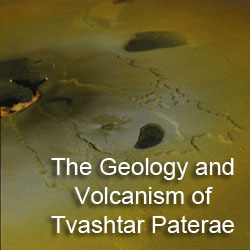 The authors point out several other issues, including the scale of magma reservoir needed and the thermally patchy nature of the patera floor. The authors instead propose the following model for Loki Patera: 1) Magma is fed into a thin (10s-100s meters thick) chamber from a tidally heated source deep beneath Loki; 2) When this chamber is filled, magma travels up a conduit a few km long (assuming relatively low surface porosity) and into a fissure along the southwestern margin of the patera; 3) The lava then flows out from the fissure into pre-existing lava tubes or covered-over lava channels, travelling out from the fissure across the rest of the patera; 4) The lava ends up being intruded into the country rock of the patera floor (rather than flowing along the surface as lava flows) or fills lava ponds along the patera margin; 5) The eruption episode ends when the magma chamber is emptied and the lava in the fissure trench drains back down. The authors suggest that the eruption style at Loki is roughly analogous to eruptions along the East Pacific Rise. 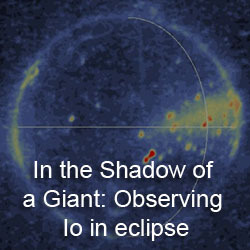 This model is consistent with observations obtained of Loki. The thermal wave seen by ground-based observers and NIMS would be produced by heat conducted up from the lava tubes to the patera floor. The hotspot along the southeastern margin of the patera represents the location of the fissure. 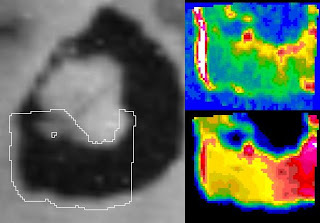 The other hotspots along the patera margin and along the margin of the "island" on the floor of Loki likely represent lava ponds where lava has collected at a topographic obstacle. The corresponding darkening wave at visible wavelengths seen along the patera floor by Voyager 1 and 2, rather than being the result of lava flowing across the surface or new crust in an overturning lava lake, is the result of volatiles being driven off a surface that is heated from below by lava flowing through lava tubes. This is certainly a very interesting model for Loki as it explains the lower temperature measured by NIMS and PPR compared to eruptions at other volcanoes on Io and the lack of lava overflowing the patera margin. I think the lava lake model works best for smaller volcanoes like Pele and the southeastern portion of Gish Bar Patera, where the difference in size between terrestrial and Ionian lava lakes wouldn't be so great. It would be interesting to see how well this model might work for other inter-patera flows, like the main floor of Gish Bar or Emakong Patera.